Everything you need to know about Alamo car rental in Canada. Alamo Rent a Car started in 1974 with four locations in Florida and they pioneering the concept of Unlimited Free Mileage. Alamo Rent A Car is one of America's largest Rental Car companies. It provides for most popular domestic and international travel destinations. 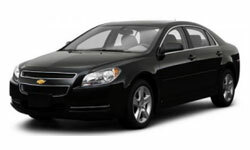 They offer quality vehicles and service to leisure, business, and local customers. Alamo Rent A Car operates in over 1000 locations throughout Canada, the United States, Europe, Latin America, the Caribbean, Asian-Pacific, Africa and Australia. The Alamo Car Rental company operates over 150,000 quality vehicles that serve 15 million travelers annually. VroomVroomVroom can help you find your perfect Alamo car. In its nearly 30 year history, the Alamo Rent A Car brand has continued to serve family and leisure travelers with fun, friendly service and low-cost, high value Rental Cars. Check out the Alamo deals and specials throughout Canada.